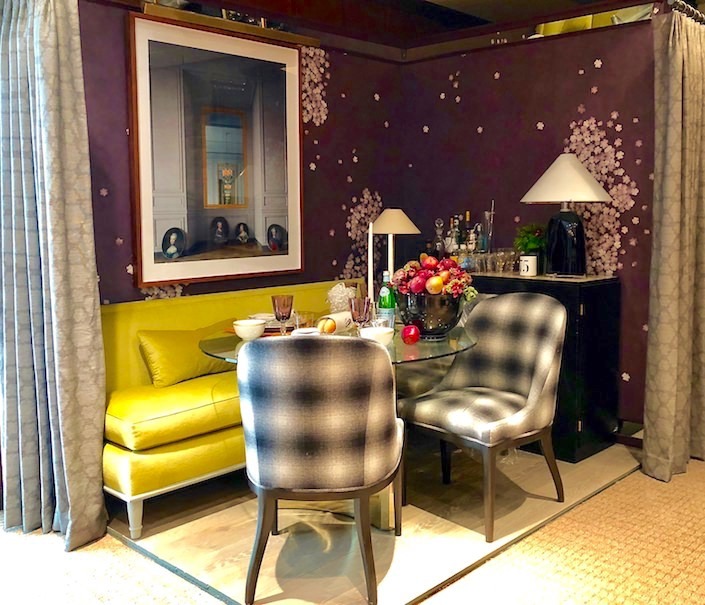 For the 2017 Rooms with a View, designer Robert Passal assembled a vignette entitled The Joy of Eating, celebrating the memories established from sharing meals with friends and family. 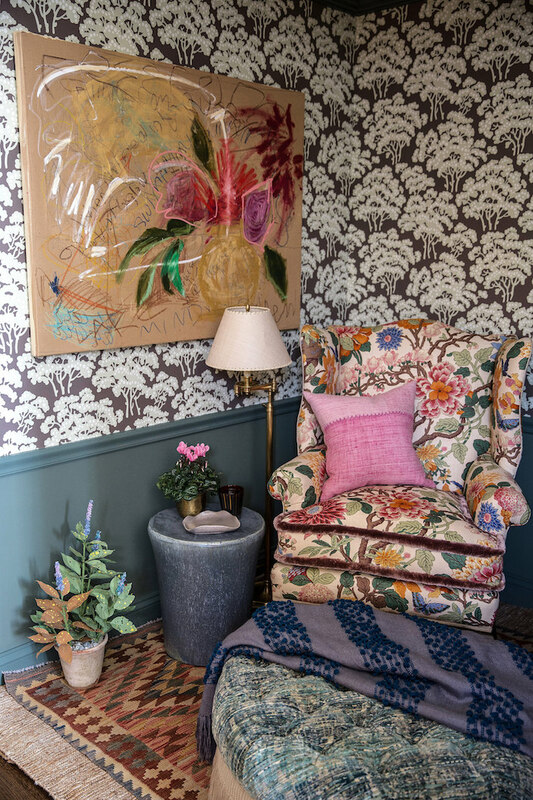 A backdrop of Blossom, from the Michael Berman for Fromental wallcovering collection, serves as a rich counterpoint for color, pattern and accessories from Passal’s Greenwich shop Putnam and Mason. 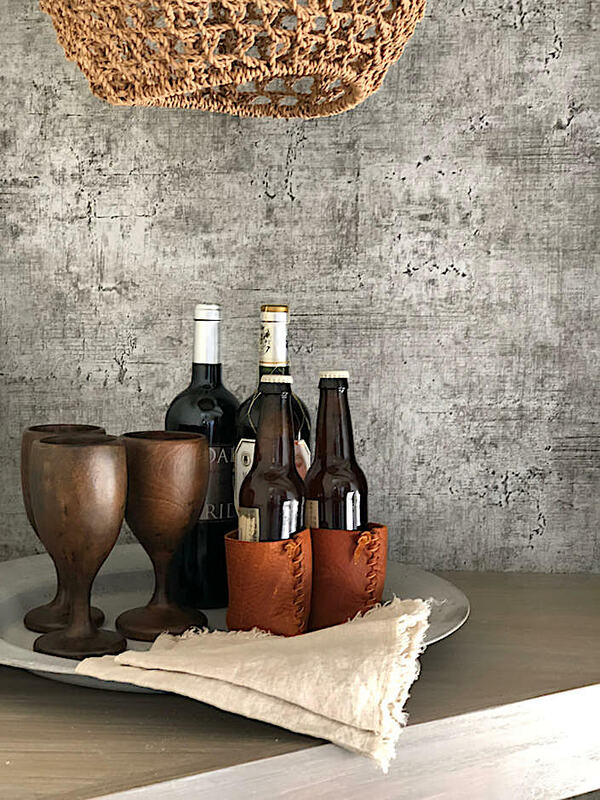 Inspired by a recent trip to Copenhagen and this year’s Joy to the World theme, designer Krista Fox wanted to focus on how beautiful surroundings can be the impetus for sharing, connections and warmth. 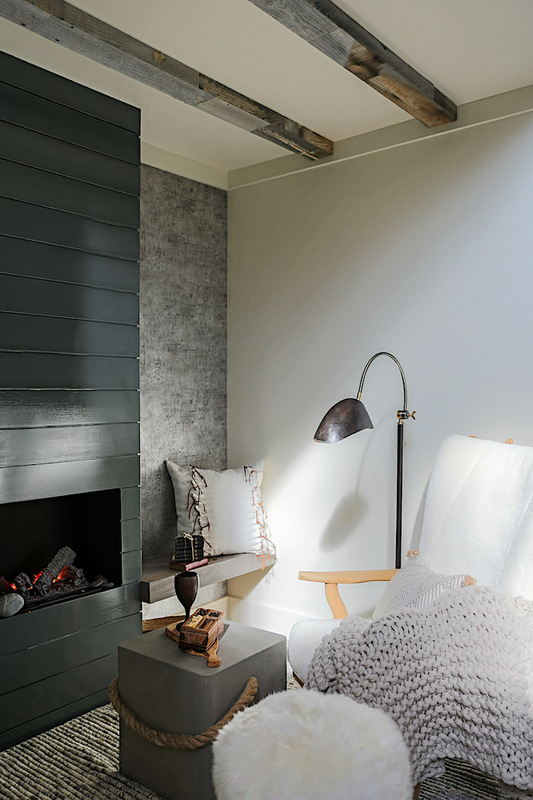 Channeling the unique Scandanavian “simplicity of palette and strength of mood,” Krista created a space with soothing textures and organic materials. 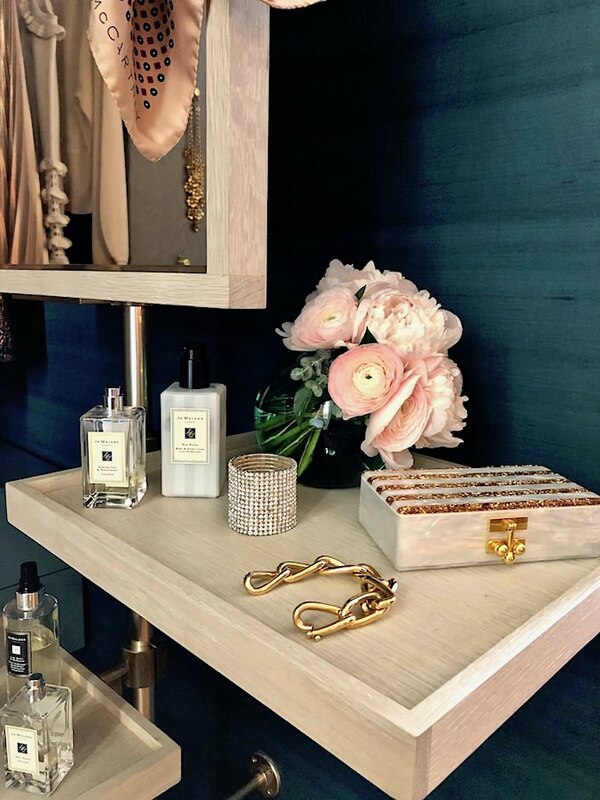 As Krista explained, “The beauty seems to be that all this feeling really requires is a certain slowness and the organic ability to recognize and enjoy the present,” the essence of which she captured in every detail. 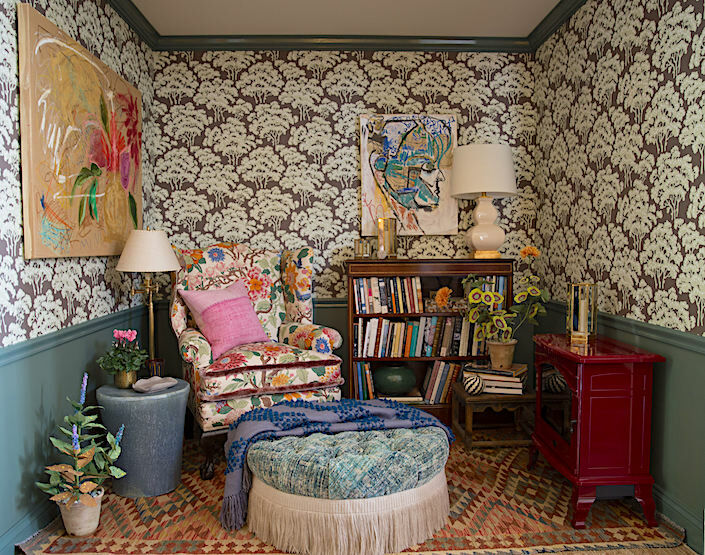 Liliane Hart‘s Fireside Tales vignette envisioned a coz den for a woman who loves to read. 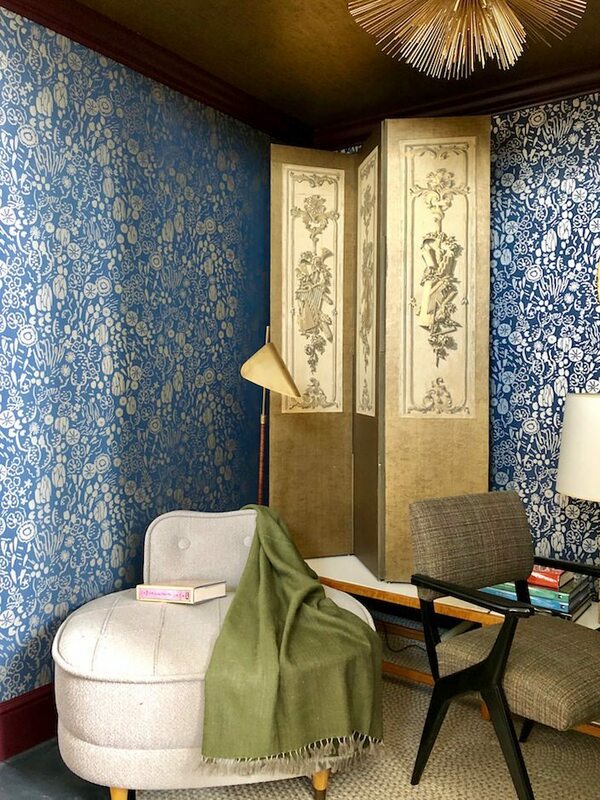 Starting with Farrow and Ball’s Hornbeam wallpaper, Liliane layered color and pattern for a feminine version of a typically masculine space. 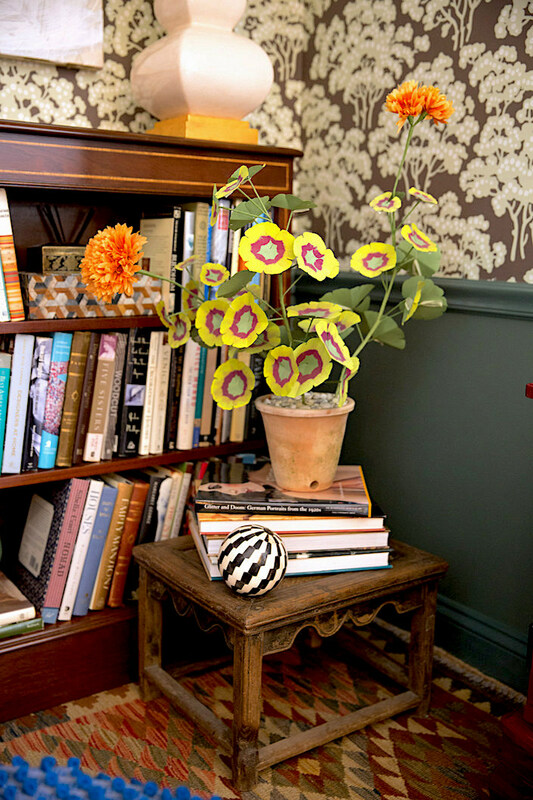 and paper flower art by Livia Cetti added layers of creativity and whimsy to the space. 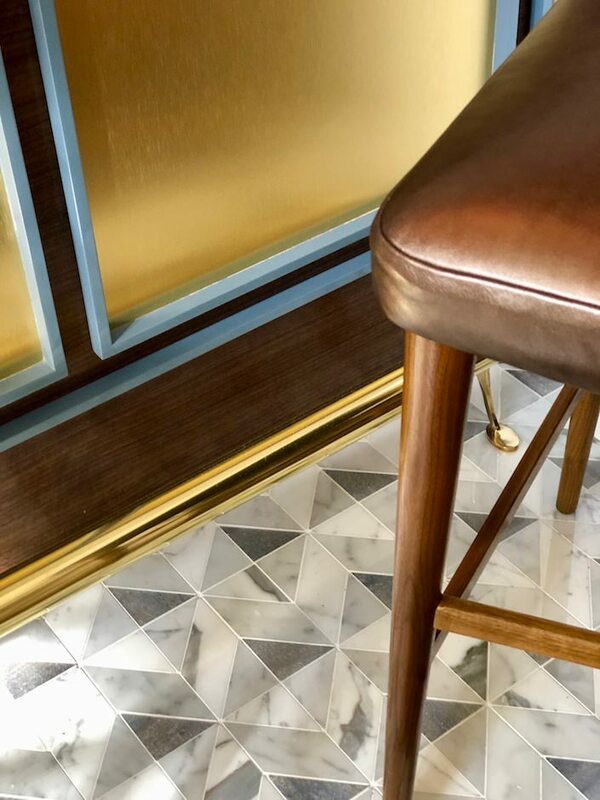 Forehand + Lake designed a chic bar perfect for the holiday entertaining season. 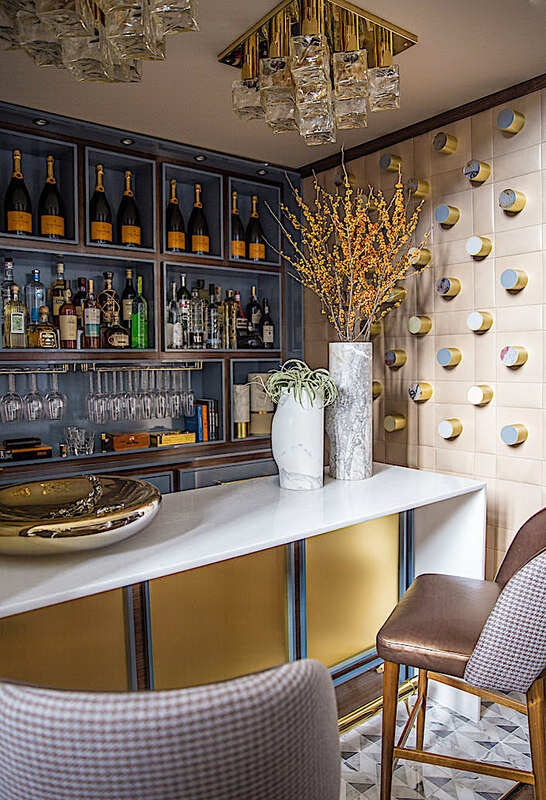 A sculptural wall art installation, entitled Wilde Oscar by Samantha Sandbrook (through Romanoff Elements) was seamlessly incorporated into the space. 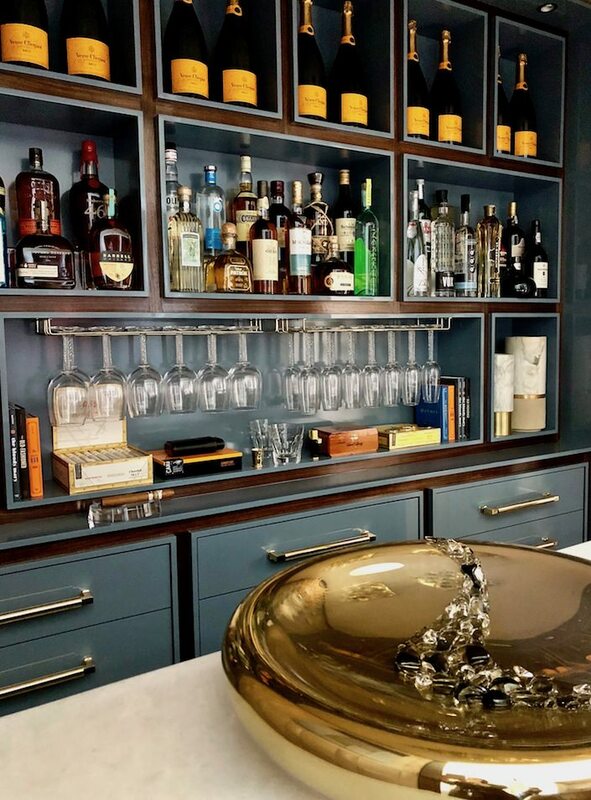 to the meticulous and fully stocked built-in bar, this was an impressive and beautiful installation accomplished in the short lead time allowed. 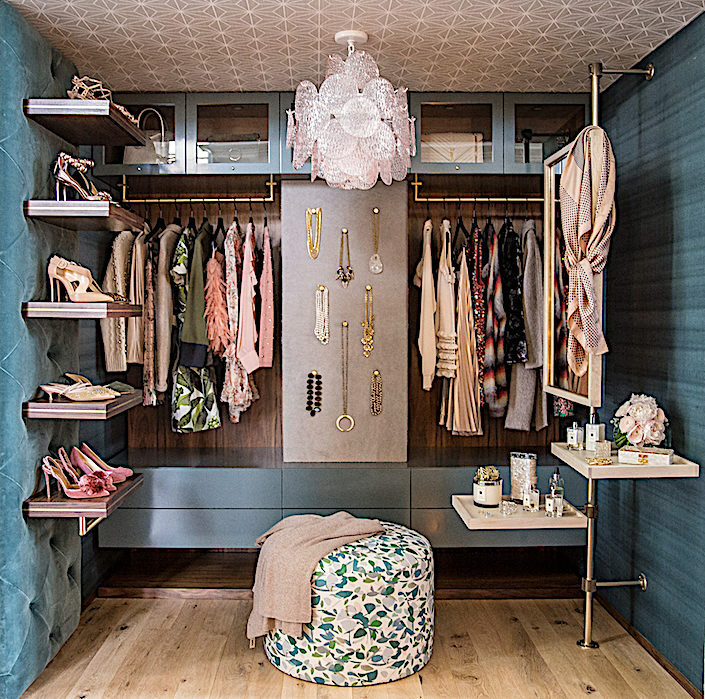 there was a place for everything for getting dressed for the holidays in style! 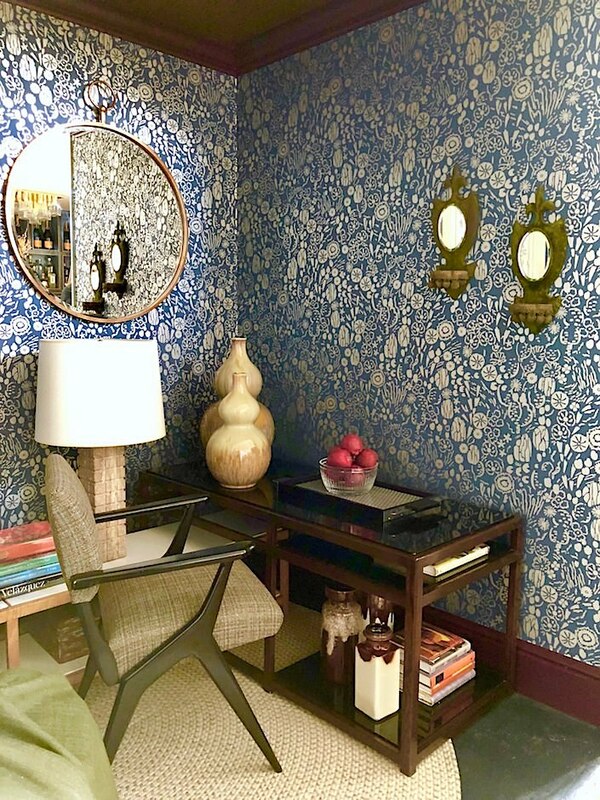 Kellie Sirignano and Franklin Salasky working with Farrow and Ball’s new floral Atacama wallpaper for their Library Nook. 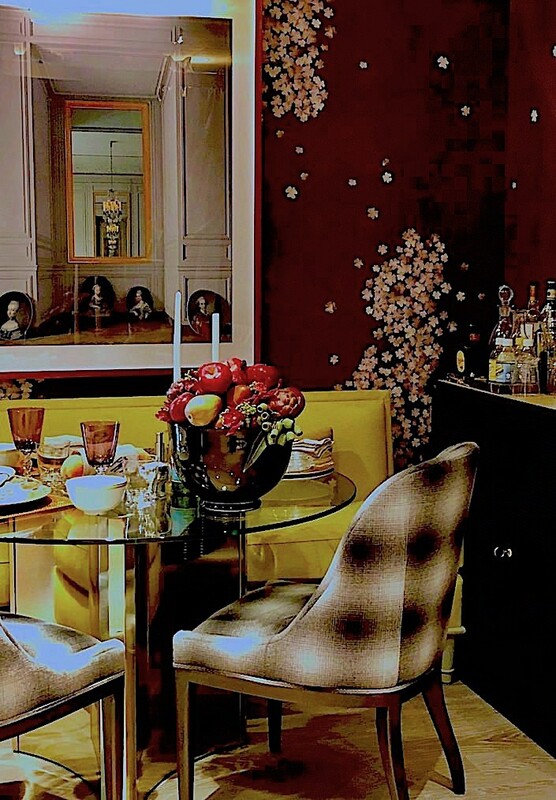 They melded their saturated palette with mid-century furniture from Edward Worley and others. 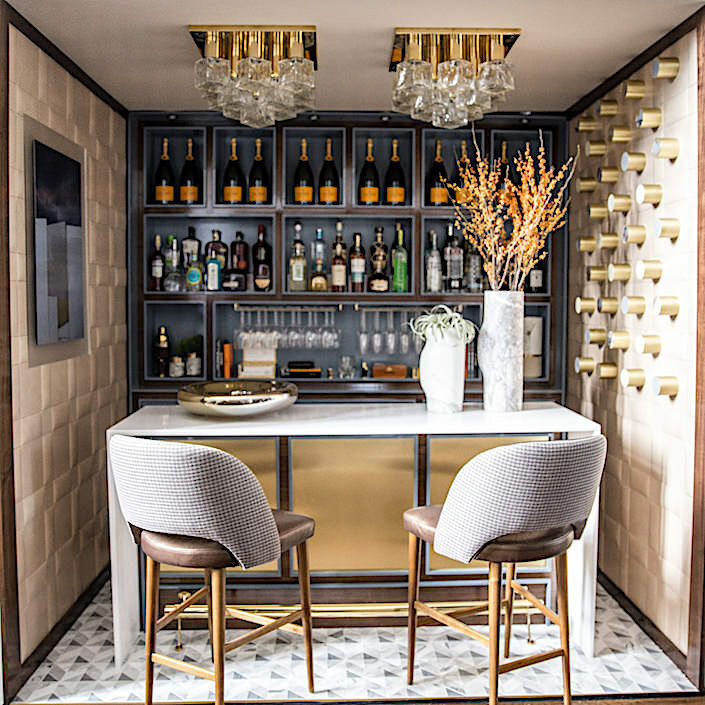 A custom-made rug from Beauvais, hand-painted Italian folding screen and Milanese desk chair from the ’60s are crowned by a golden ceiling with Sputnik style ceiling light. 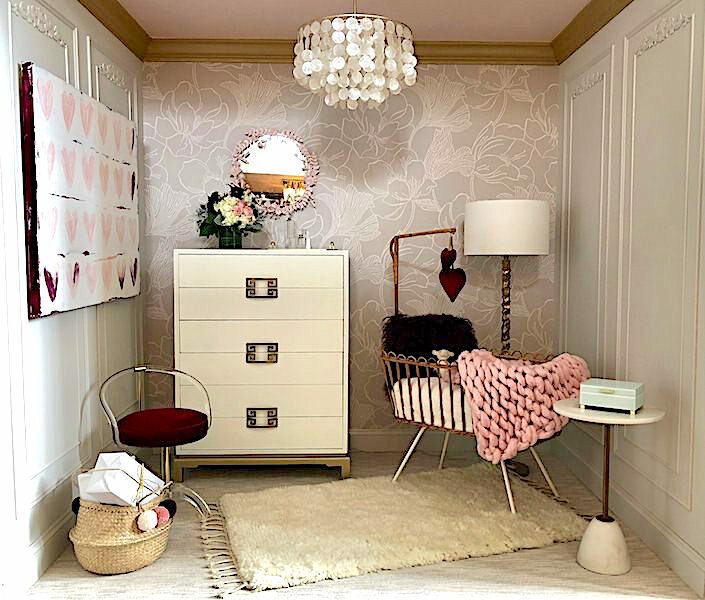 Designers Tori McBrien and Keri McKay, friends since design school, collaborated on a nursery for a baby girl. 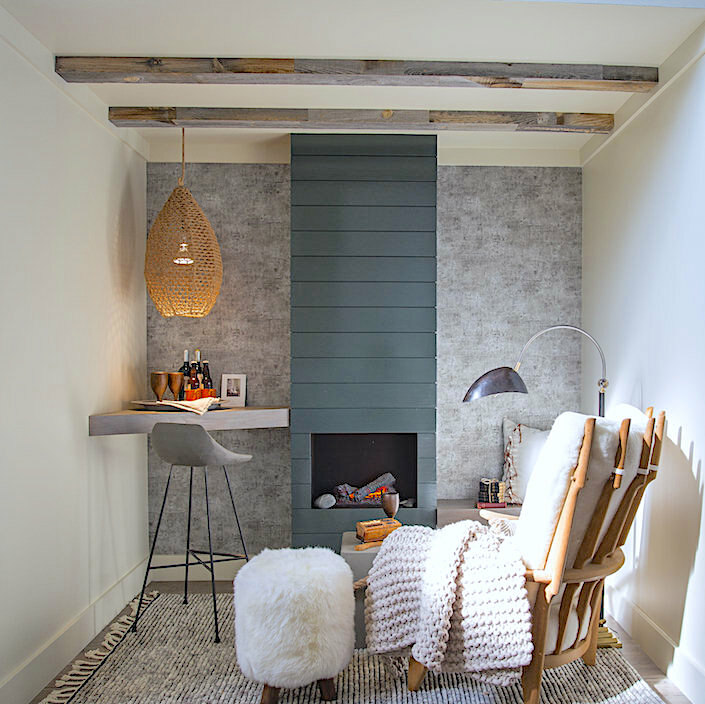 Thinking of a room their young client could grow into, they designed a space to be playful yet sophisticated. 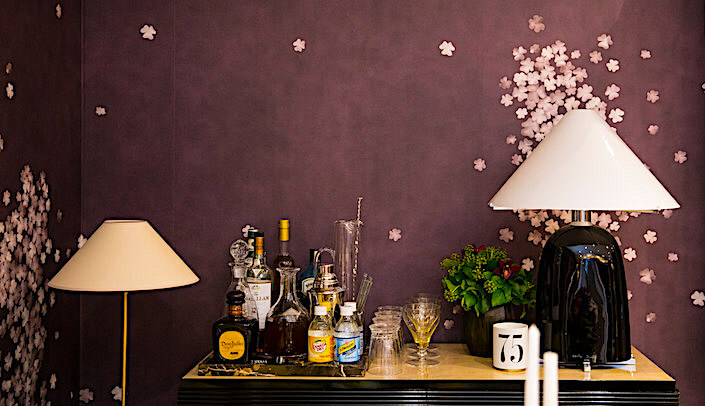 Farrow and Ball’s new Hellebores wallpaper set the stage with a large scale floral in neutral tones. 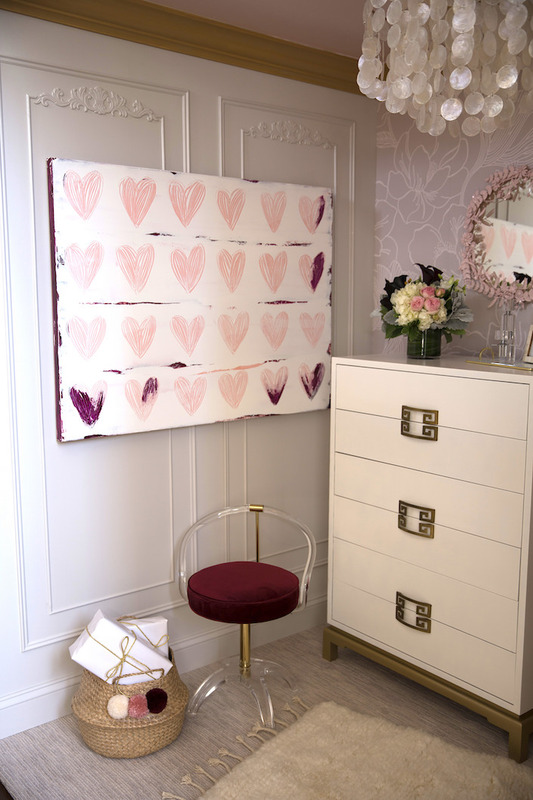 The gray and cream color scheme is enhanced with pops of cranberry and blush in the art, accessories and ceiling. 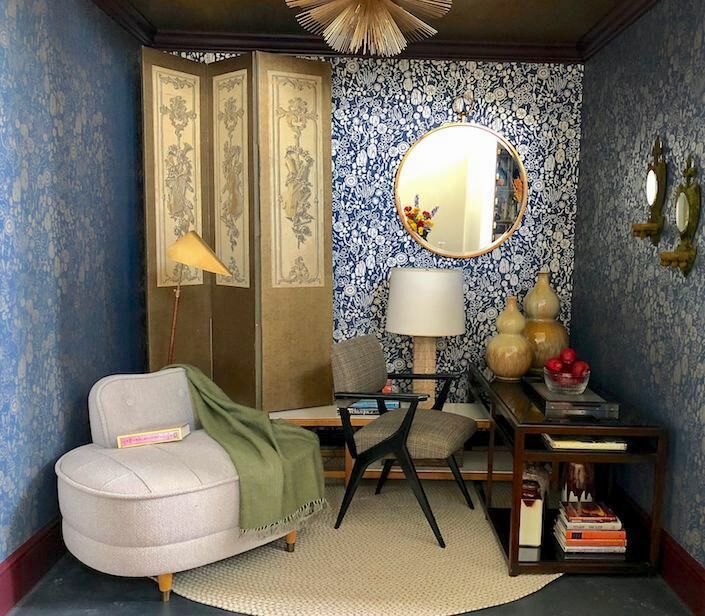 An antique rattan crib sourced from the Netherlands, vintage custom painted dresser with greek key hardware and vintage acrylic side with new velvet upholstery lend the space its personality. 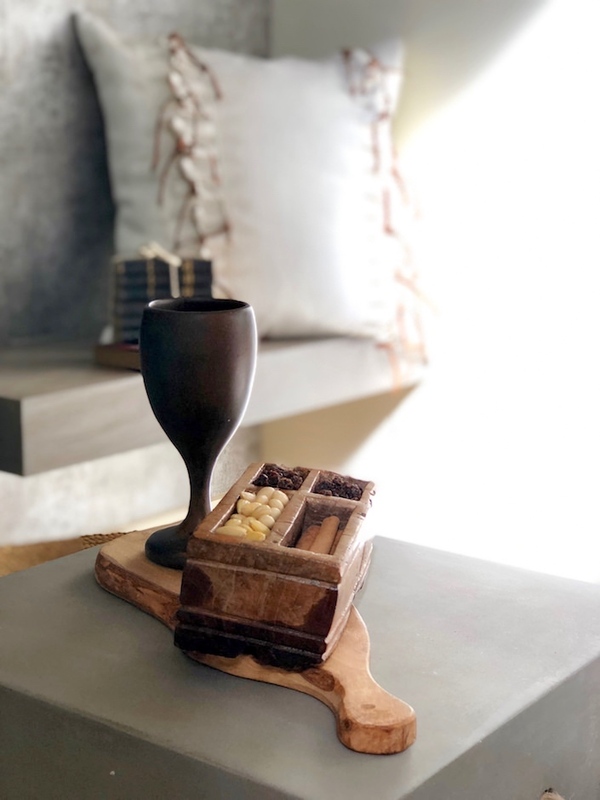 This entry posted in art, furniture, interior design. 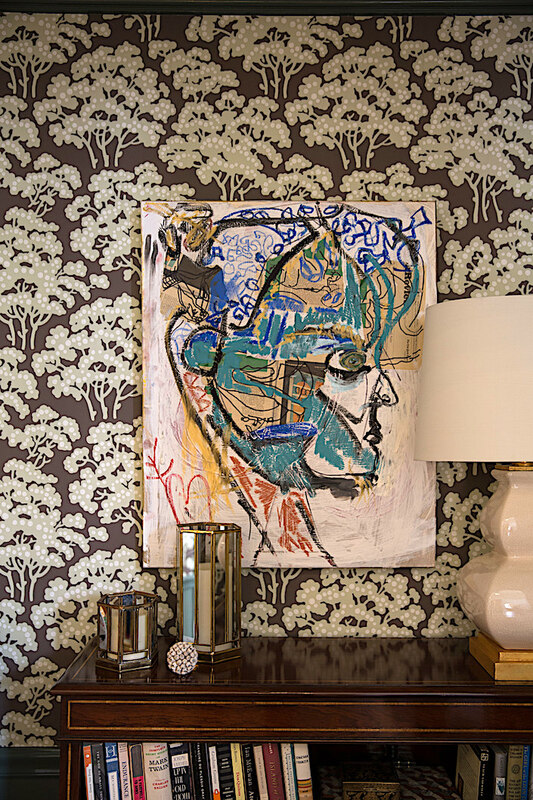 Entry Tags: interior design, Rooms With A View, Showhouse Bookmark the permalink. so chic and lovely sweet! 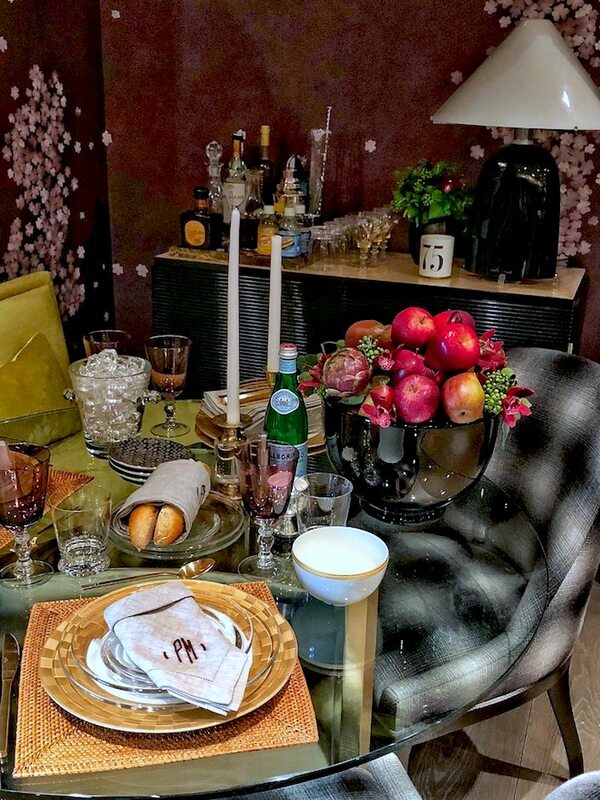 It’s wonderful to see how creative the designers can be in their spaces. 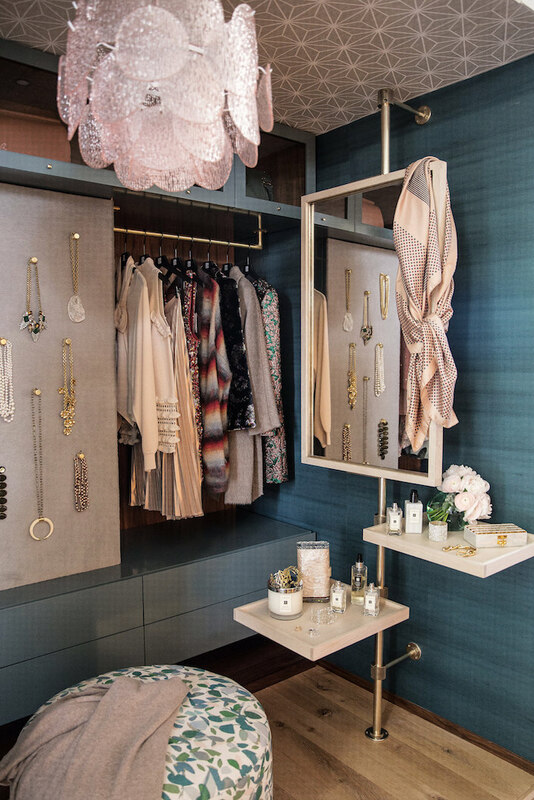 Each room is so successful & personal. Well done!